This is the quote that hangs on my wall in my hallway. I see it every day as I pass by. I’ve had it there for years. It always reminds me that whatever I am going through, at some point, love will find a way. Over the years, like you, I have gone through a number of Good Fridays, figuratively. Wondering if everything was going to be okay. Wondering if there was a plan that would see me through. Hoping that what I believed in- my life, my family, my values, my choices, my beliefs- were the right ones and the best ones to see me through the difficult times. Not knowing how situations would resolve themselves but hoping and praying everything would be okay. But God always comes back with the crocuses and butterflies of life which show up in different ways… People who care about us and reassure us. Faith to carry through. Support that shows up in different ways. Skills that we learn to make us stronger. You will be okay. Your blended family will be okay. Your single parent family will be okay. You can make it through. There are good things for you ahead. There is more for you than what you know or understand. There are loving forces at work in the world. There is a higher power, a loving God, who knows things you don’t and is working together for good for you. And if there are days when you don’t believe that and are afraid it’s not true, there are others, like me, who will believe for you. 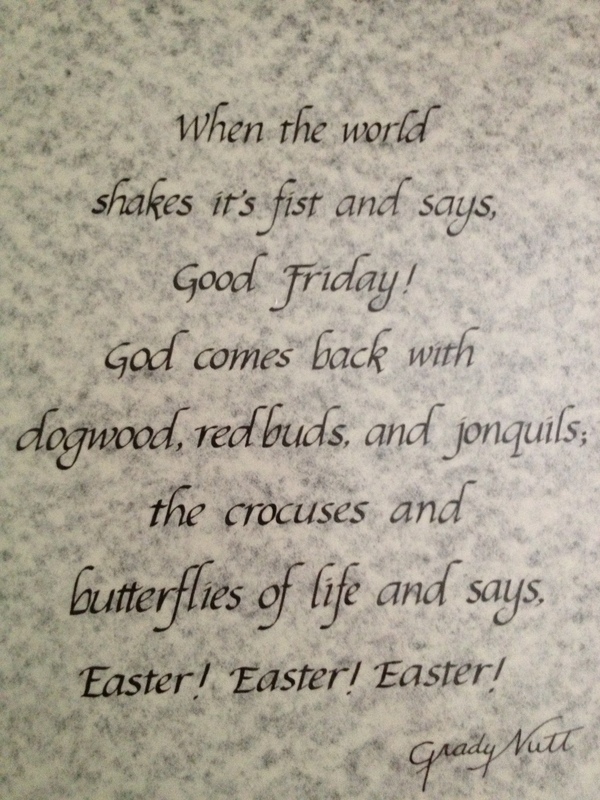 It’s why I mindfully reflect during the week leading up to Good Friday and actually love celebrating the day of Easter. And it is why I try to remember about Easter all year-long. So whatever you celebrate this time of year, new beginnings and new hope can be yours. Happy Easter, Happy Passover, Happy Spring! Love Finds A Way.